DIY: Paper Toys. Make New Friends! Mini Spaces for Living: 247 to 602 sq. ft. Sustainable Architecture - Containers 2, 2nd ed. Promo! Calendars, Pamphlets, T-Shirts, and more..
Andrew Martin is one of the world's best known furnishing brands, with sales in over 50 countries. 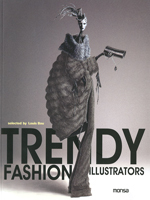 Includes entries from all over the globe, this title features 91 designers. donation including "Blue Crucifixion" and "An Anatomy of Melancholy". the image of Catellani & Smith, a company operating in the lighting sector, has spread worldwide. The book is the catalogue of the exhibition of Roccetta di Borgia, 31 July-3 November 2009. Exposure d' Biennial art of Venice of 2007. TYPOGRAPHIC DESIGN is a book about the last tendencies in the universe of fonts. the matter and the circle l' to be to the search of if same. the table for a truly unique and joyful lifestyle. without taking into account the fundamental presence of Alex Katz. I am not telling the facts, I am relating stories. Are dreams or memories true? it is not a rose, it is not a tulip, it is only an echo, a distant thought. generation that followed the masters of the Neo-Rationalism movement. twenty of the earth's most treasured locations. The sound design has profoundly changed the way of understanding the project. documented through a detailed analysis of his work. 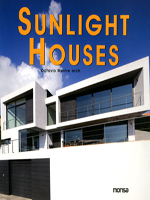 This book is an extraordinary collection of exciting and diverse architectural sustainable projects. with a combination of sustainable star architects and heretofore unknown practitioners. solution for the conservation of the past into the present. Catellani & Smith, a company operating in the lighting sector, has spread worldwide. talks about his adventure as a dreamer who believed firmly in his own ideas. passionately explain what designing flyers means to them on a personal, preofessional and artistic basis. living from Turin to Milan, from Venice to Rome, from Naples to Bari. Mila Schön dressed members of the international jet set such as Jacqueline Kennedy and Marella Agnelli. town planner, focusing on the most important milestones of his life's work. some of the best designers and artists worldwide. of creative are and design, with the bag designs taken to be a point of reference. are retraced here, from the "Big Family" period to the dreamlike one and his photographic production. artists that comprises Andy Warhol and Jasper Johns. most important achievements of Franco Albini's architectural career. Milanese cultural and architectural scene. various stages and methods of inventing, designing and making textiles. Technogym, founded in 1983, is currently leading fitness. reflect the personality of the person concerned. sector is celebrating 80 years of operation. interested in gaining a greater understanding of the Italian boat-building industry. process, the product and the behavior which it results in. transforms them into works of decorative art. employs a variety of methods, materials and procedures. faithful to the end to the ideals of the futurist painters. design which goes beyond fashion and food facts. The history of Italian art reconstructed via a constant comparison of writings by artists, clients, critics and historians. associated with contemporary issues and consolidating a leading image in the field. art in society at large as his method. taken from the air, portrays the splendid landscape of the region in the four seasons of the year. celebrates the museum's 60th birthday against the unique backdrop of the venetian Guggenheim Collection. during the two decades of fascist rule in its tormented evolution. Milan 1986), which were produced in two distinct periods of his bountiful career. contemporary European avant-gardes and its contacts with seemingly different worlds and cultures. view to the public for the first time. Among others, the famous statues from various digs at the Villa dei Papiri. A book on the most famous italian avant-garde in its centenary year. difficulties and the final transformation of the site into a museum. Italy today seen through the eyes of the great photographer Jochen Gerz. contemporary art from the 1980s to 2000.
years which has changed the conception of sailing boats. and its great physical and conceptual density based on symbols, spiritualism and utopia. Valerio de Berardinis' photographic production from the last 20 years. incorporating as it does hundreds of groundbreaking articles in their original format. through the eyes of a master of Italian film-making. comment on the themes illustrated and interpret their work. The third book on contemporary art published by DARC: Post-Modernism - art, films and history. theoretical and design production in the context of 20th-century Italian history. Pirelli began his work, bringing in the Industrial Revolution. Architecture, held in Turin in June 2008.
comprehension, through an active gaze and through comparison. Having oder ina home is essential to truly enjoynig a relaxed, peaceful and balanced space. It is a question of hygiene, getting along and aside from the amount of time which is saved when "everything has its place,"
without having to turn the whole house upside down. Lucy and Jorge Orta at Hangar Bicocca - Space for Contemporary Art. exists beyond the distractions of our consumerist society. position that is different from the one usually adopted by photographers covering topical themes. pleasure-craft hire, thus turning his love of the sea into a highly successful business. Europe and around the Mediterranean. realize in 2008 at prestigious Italian and international art institutions. Israeli designer II is known to the public for its experimental productions and steel furniture. most important projects, with abundant information for easy reference. concept stores, from New York to Tokyo, from London to Cologne. Water Pavilion makes its debut at the Saragozza Expo. The professional development of an engineer who has worked on significant projects for 20 years. place for interaction with others..."
A publication that really takes an in-depth look at the Sottsass story, not just a cursory glance..
queens psychology multifaceted and complex protagonists of dark age, made of wars and upheavals. Philadelphia Museum of Art, and the Venice Biennale. result that he no longer felt the need to invert the image and even took to wood carving..."
century on the occasion of the centenary of the birth. artist from 1937 to 1980, most of which have very rarely been exhibited to the public. of the world's most prestigious architects and designers. in step with or parallel to the evolution of society. culture club world, graphically represented by flyers from all around the globe. Without the flyer there's no party and without the party there's no club. processes transforming the face of Italy. icons of elegance and charm today celebrate maybe footnotes and even more abroad. this word, but rather like a window through which to see the world. reports by Massimo Gatti. Next to the photo we can see its backstage. stands out in the world for quality, originality and propositività. unbridled by overly-rigid schemes or dogma. A tribute in images, music and words to the great master who has created unforgettable masterpieces. assemblages of objects, materials and colors. from different creative art and design camps which have taken their inspiration from any of nature's elements. Antonio Nunziante, paintings which testify to his style and technical ability. sensitive technical finesse to seamlessly blur the line between reality and supernatural mindfulness. This new title in Electa's BelVedere series pays homage to an Italian photographer who relates stories in images. emerging talents on the contemporary art scene. incredibly original journey of the French-American artist. Neapolitan duo Emiliano Perino and Luca Vele..."
brilliant 20th-Century designer who died prematurely at the age of 38.
contributed to characterize more than a century, the curious and fascinating world of pleasure boating. "Save as..." is a window onto the world of contemporary art in Turkey. businesses, the need for dedicated workspace in or near the home will increase exponentially. individuals' rights, and challenged us to change the status quo..."
A stencil is a templated used to draw or paint identical letters, symbols, shapes, or patterns every time it is used. T-shirt collections, and the best and coolest graphics from around the world. 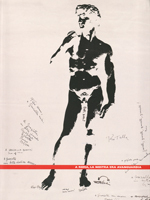 in which we were presented with images opposing aids, hunger, and racism...we thought of doing this book. display makes urbanism one of the fields of architecture that is most open to debate and controversy. urban fabric of London, is to observe the impressive outer casing and the interior. 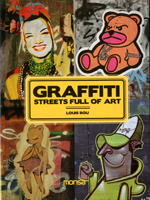 This book is the catalog of the exhibition in Milan (Triennale Design Museum, September 25-October 26 2008). and the seasonal and commemorative character of the shop window display. process is a labour of love and ingenuity.